It was the most expensive stay on my Thailand trip and one of the worst ones. Good things first: The bed was good even if there could have been a more thick blanket for the cold night. And the location of the hotel is pretty good too. The personal at the front office sometimes don't recognize you because of playing with the smartphone. In my room was no warm water at the beginning, so I had to shower cold for the first time after arrival. It got fixed until the evening, so thanks for this. The breakfast included is really small but if you are really hungry it's ok. Try to get a room in the building in the back, cause there might be some traffic noise and some concerts too in the front building. Won't book it again. Great location in the center of town. Aging hotel, but staff are kind and attentive. There is a range of breakfast options. Air con in some rooms may need to be replaced; mine worked fine. Convenient hotel! Hotel very dated. At check-in, staff person disappeared with my credit card. I made issue and got “sorry” without an explanation. Room was not clean. Doors to bathroom would not shut. Shower had water saving shower head but no hot water. Called front desk and was told to let it run for 10-15 mins. No lift. At checkout they made me weight so the could inspect the room. I should have inspected before I paid. Do not recommend. Checking was fast and easy. It was great that parking for 1 van, 1 car and 3 motorcycles was no issue at all for the hotel. Night market is just across the street, so that a plus point. The rooms are clean but age has taken some toll on its fixtures. Breakfast vouchers needs to be obtain from the counter each morning. Still a great place to stay. 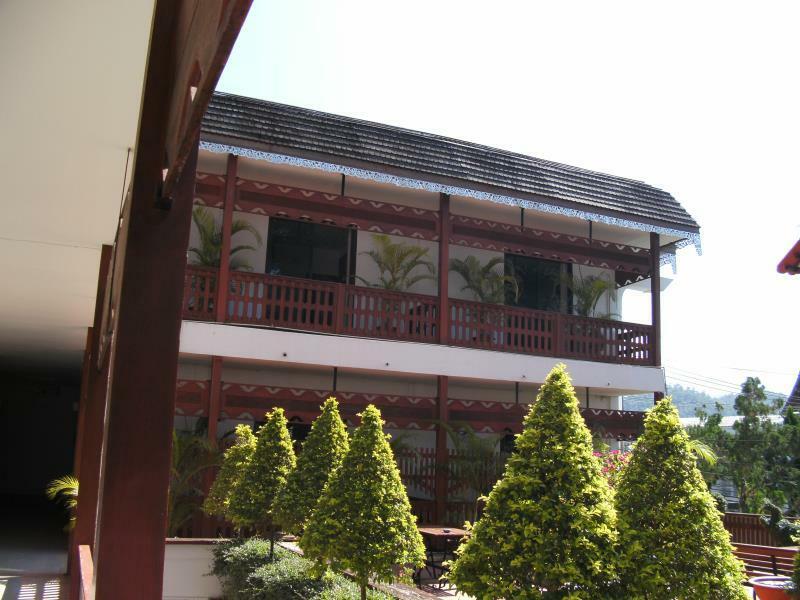 Great location - centrally located just opposite the post office and a 15min walk to the bus terminal. 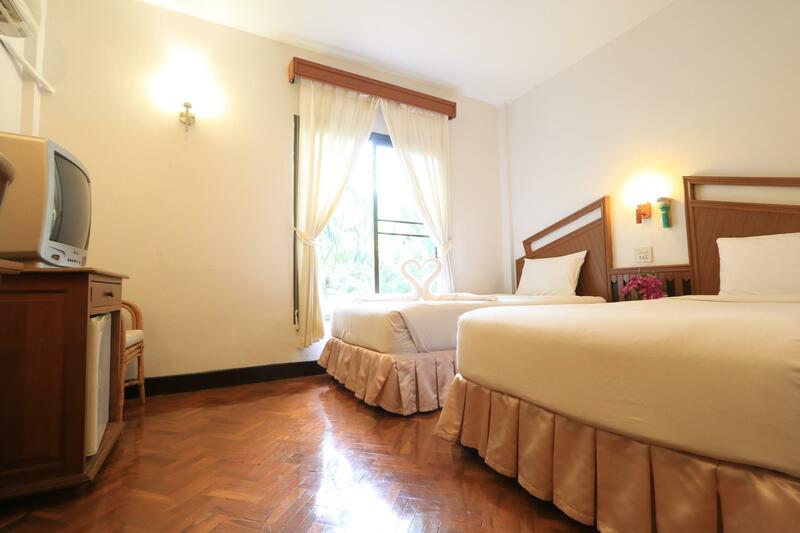 It is within walking distance to the lake, night market, street food, eateries, tour agencies, a 7-11... Rooms were decent, clean and quite comfortable. For the price we paid, this was more than what we expected. Would definitely stay here again. The hotel is at the center of town. From airport, it takes about 15-20 mins by foot, and it takes 5 mins and 60 THB by Tuk-tuk. Breakfast is not so great, I recommend you to try a local porridge shop in front of the market. The hotel is a little old, but the room I stayed was clean. I had no problem with this hotel. I could enjoy nice stay. 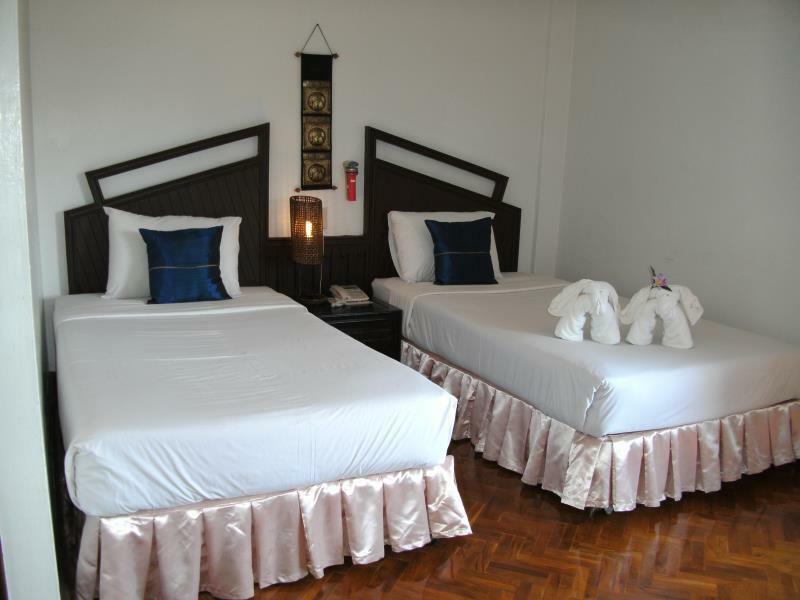 The hotel is located in the city center an just five minutes walk to Jong Klang-Jong Kham Temple. If you take a public van from Chiang Mai, you can ask a driver to drop off at the hotel. 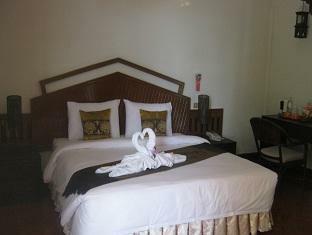 However, you can travel by walking to the morning market and other attractions in the city easily. Mould stinking rooms, prehistoric minuscule toilets, uncomfortable beds and poor breakfast in ugly old restaurant. After Agoda 17% this unpleasant place comes at 1,400 bht, which honestly does feel like a rip off !